When you love Halloween as much as I do, it’s fun to create striking, detailed jack-o-lanterns. I’ve worked for both professional and amateur haunted houses for more than six years, and I find that my passion for the holiday drives me to get a little bigger and better year after year with my decorations – including my jack-o-lantern creations. I started out carving jack-o-lanterns for my own elaborate Halloween yard displays. The parents of my trick-or-treating visitors began asking me “Where did you buy that, and where can I get one?” As a result, I started carving jack-o-lanterns on commission, and my Halloween side business has grown steadily every year since. 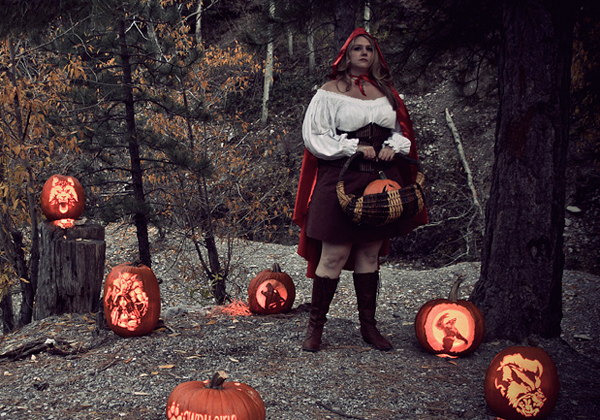 I have been carving pumpkins as a hobby for more than 15 years and have developed my skills by combining techniques used in stage makeup, stage prop creation and modeling. I spend all year looking for new tools, new patterns, new techniques and new ideas.